RALEIGH, North Carolina (WTVD) -- Raleigh police are investigating after a robbery at First Citizen's Bank near Cameron Village on Friday morning. 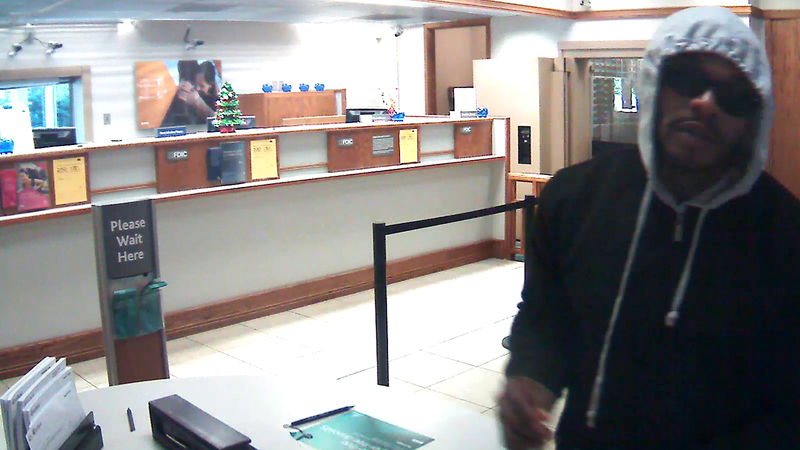 According to authorities, the First Citizens Bank on Clark Avenue was robbed about 10:35 a.m.
Police said it appears the suspect fled with an undisclosed amount of cash after the teller complied with his demands. No weapon was seen and no one was injured. The suspect is described as a black man with a mustache, wearing a dark jacket over a light-blue hooded sweatshirt, blue jeans, and black and white sneakers. Anyone with information is asked to call Raleigh CrimeStoppers at (919) 834-HELP or visit raleighcrimestoppers.org for text and email reporting options. CrimeStoppers pays cash rewards for anonymous tips that help solve cases.